Why did Coleen Garcia leave It\'s Showtime? Why did Coleen Garcia leave It's Showtime? Coleen Garcia (left frame) will no longer co-host It's Showtime since she will concentrate on her acting career. The young actress will be starring with Dawn Zulueta and Piolo Pascual in a movie to be directed by Gino Santos. 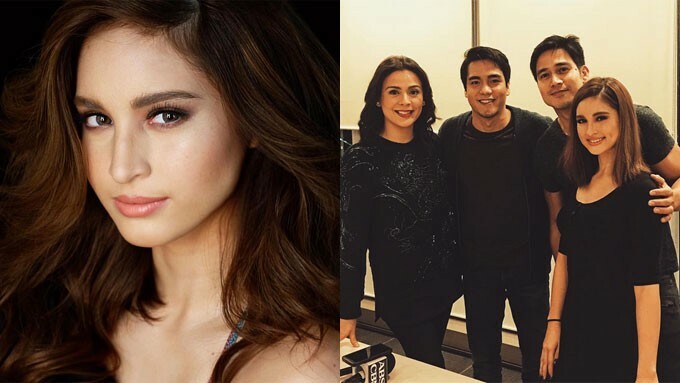 Coleen Garcia will no longer be part of ABS-CBN's noontime show It? ?s Showtime. The actress-TV host has been designated to prioritize her acting projects this 2016. "Actually, I was barely ever there during the entire second half of 2015.
? ?I don't think I'll be returning. Management talked to me and they want me to focus on acting," explained Coleen in an interview with ABS-CBN News. Currently, Coleen is seen on the Kapamilya teleserye Pasion de Amor along with Jake Cuenca, Joseph Marco, and others. The girlfriend of Billy Crawford will soon be starring in a movie with Piolo Pascual and Dawn Zulueta. The movie comes at the heels of Coleen's previous steamy film Ex With Benefits in 2015, wherein she was paired with Derek Ramsay.